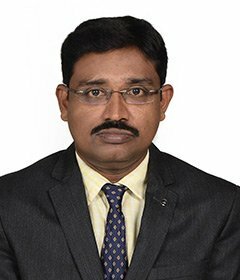 Dr.Murugananth,is a University gold medalist and topper in Nephrology. He was trained in the prestigeous Madras Medical College,Chennai. Under the mentorship of eminent professors,he has gained wide experience in clinical nephrology and renal tranplantation (both living related & cadaver donor).He has special interest in preventive nephrology and slowing progression of kidney disease especialy in hypertensive and diabetes patients.He shows keen interest in improving the quality of life in dialysis patients there by leading them to a productive life style. He has wide range of publication in National and International Awards.